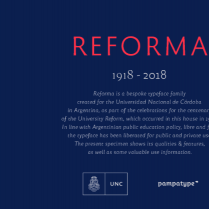 Reforma is a bespoke typeface that we designed for the Universidad Nacional de Córdoba, Argentina, earliest university in the country and one of the first in the continent, with a history of more than 400 years. 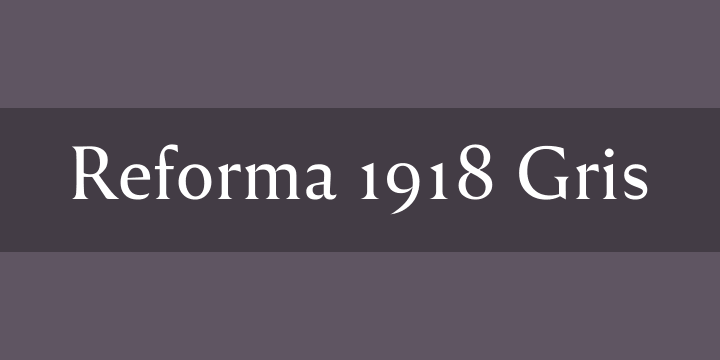 The typeface was commissioned as part of the celebrations for the centenary of the University Reform, which occurred in this house in 1918. 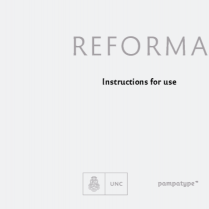 Following the Argentinian national policy of open, free, and inclusive education, the typeface has been liberated for public and private use under a Creative Commons license.